As with most legal matters, in a divorce the civil laws affect our nation’s military members and their families in different ways than they affect civilians. For the brave men and women serving in our armed forces, and for their spouses, it is essential that you choose a military divorce attorney in Colorado Springs whose experience in both civil and military law is extensive. At our firm, we are grateful for the service done by our fighting men and women, and we are very pleased to offer a discount to our active duty military members and their spouses. 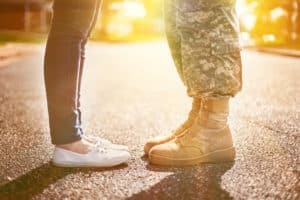 Divorce attorney Jeanne M. Wilson has extensive experience in evaluating the unique concerns of our nation’s military members when going through a military divorce in Colorado Springs. As with any divorce, dividing assets, entitlement to military benefits and decisions concerning children must be agreed upon. When couples agree, the divorce is uncontested and can be wrapped up quickly. If couples are unable to reach agreement on any issue, the state of Colorado requires that they attend mediation and litigate any unsettled disputes. Let's face it, military divorces in Colorado Springs are complex, emotional and have different legal and other issues that need to be addressed. It is to your advantage to be well prepared, so we are making this "Military Divorce Checklist" available to you so you have the information and documents you need to traverse the military divorce process, correctly, expediently, and cost-effectively. We provide this tool for your benefit, without cost or obligation and are certain that you will find it beneficial regardless of who you engage to represent you during your military divorce in Colorado Springs. In many cases, one party may not be residing in the state of Colorado. The military divorce attorneys at the Law Office of Jeanne M. Wilson in Colorado Springs strongly advocate for our clients who may be deployed or residing elsewhere. In all aspects of a military divorce case, we always take into account the best interests of our client. When children are involved, creating a parenting plan helps to ensure that our military members continue to have contact with their children. Our firm will craft detailed parenting plans to revolve around deployments, reassignments, and the other considerations our military members face. Jeanne Wilson is also an experienced child custody lawyer in Colorado Springs and can help ensure that all aspects of your divorce in Colorado Springs go smoothly.